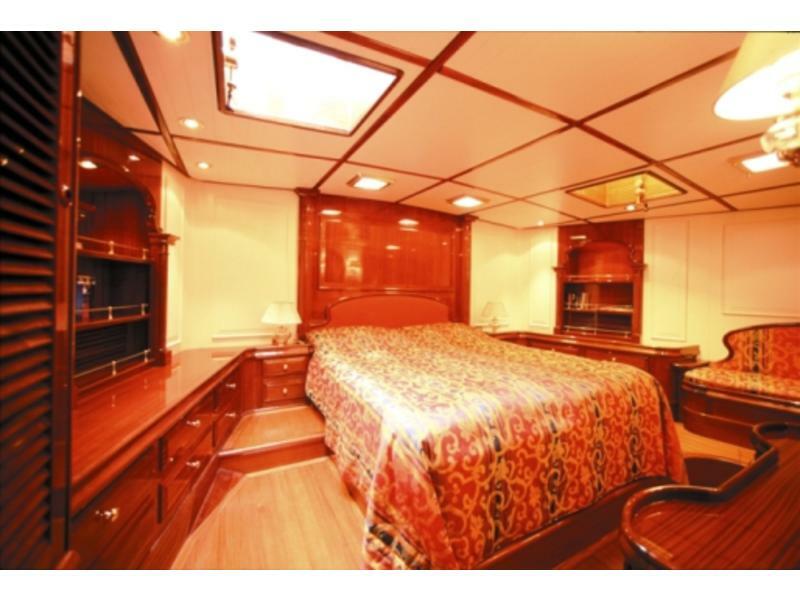 World-cruising vessel with a high degree of comfort, capable of unrestricted voyaging with a confinement of six guests and crew of three. 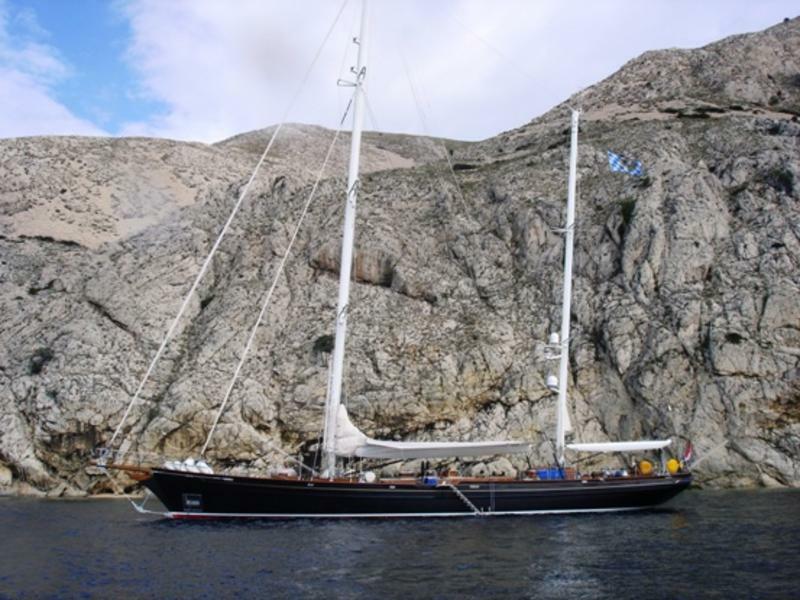 For ease of handling she is ketch rigged and fitted with hydraulic roller headsails and in-mast reefing on mizzen & fully button lazy-jack system on main mast. A Hundested variable-pitch propeller, driven by a single 441 kW MAN diesel, intended to reduce hydrodynamic drag, whilst Lewmar bow and stern thrusters ensure superior maneuverability and dependability of operation. Nirvana aluminum spars carry 483 m2 of on the wind sail area. This can be nearly doubled by the use of a Genaker flown from the bow. 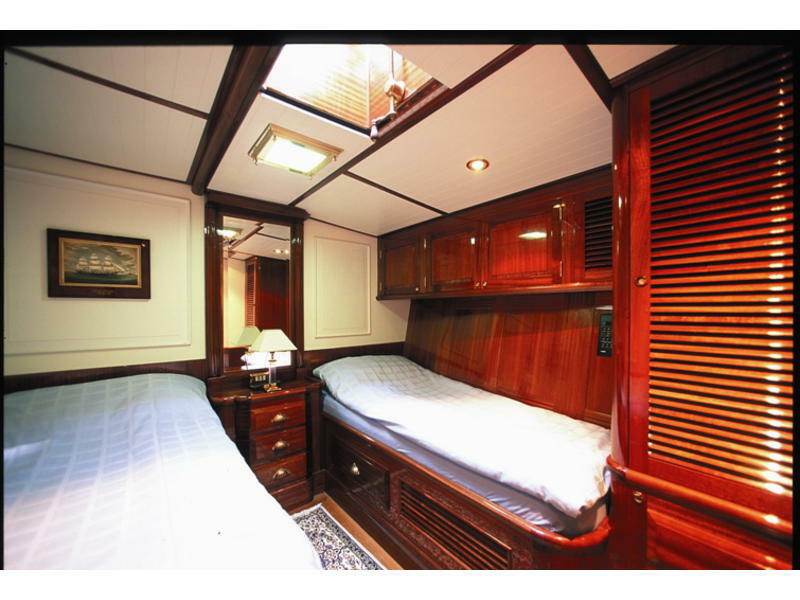 The main sail is sheeted to a captive reel winch, made Lewmar and concealed in a locker. 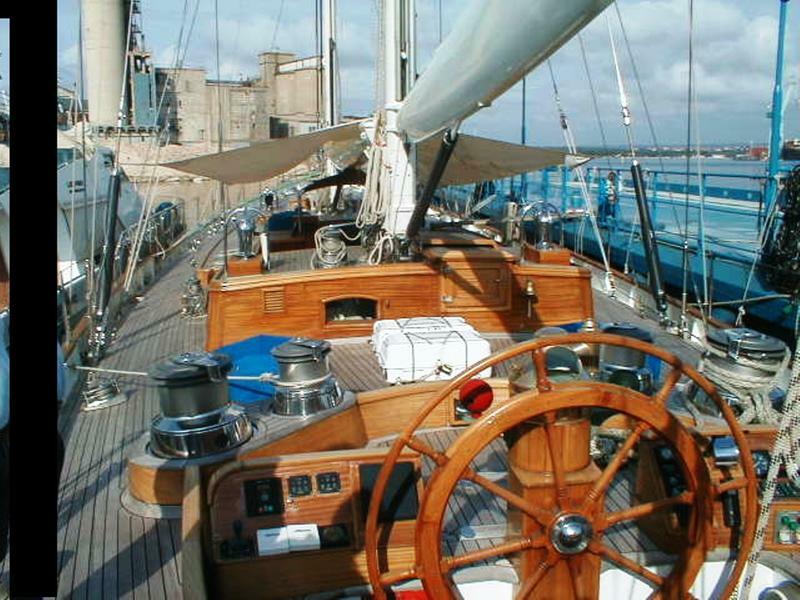 The Genaker or the staysail are sheeted to a pair of hydraulic Lewmar drum winches, mounted in front of the steering position. 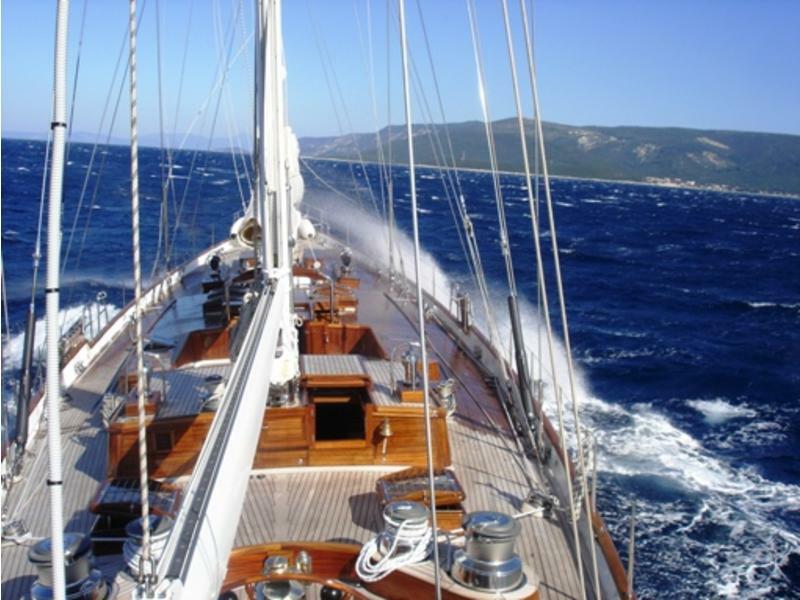 The mainmast backstay runners are also directed toLewmar drum winches. 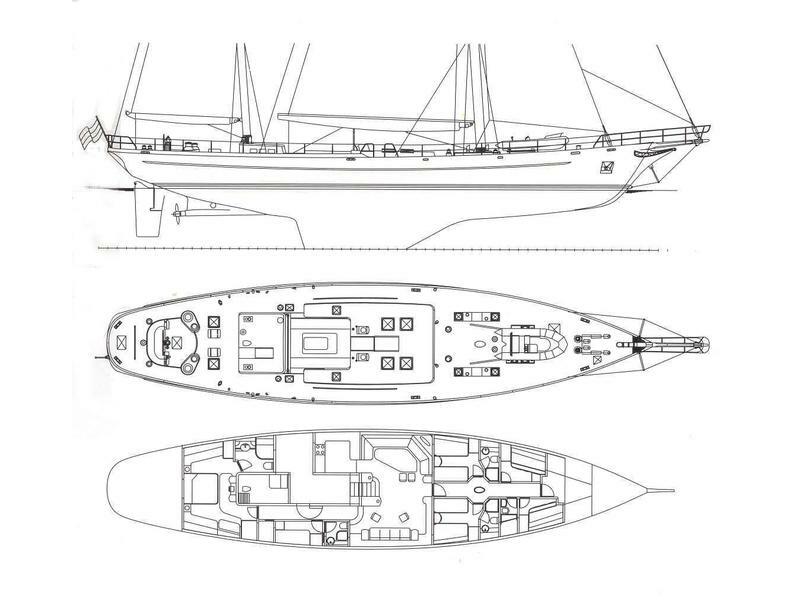 Navtec hydraulic cylinders are used for the main aft stays, main and mizzen boom kicker as well as main outhaul. 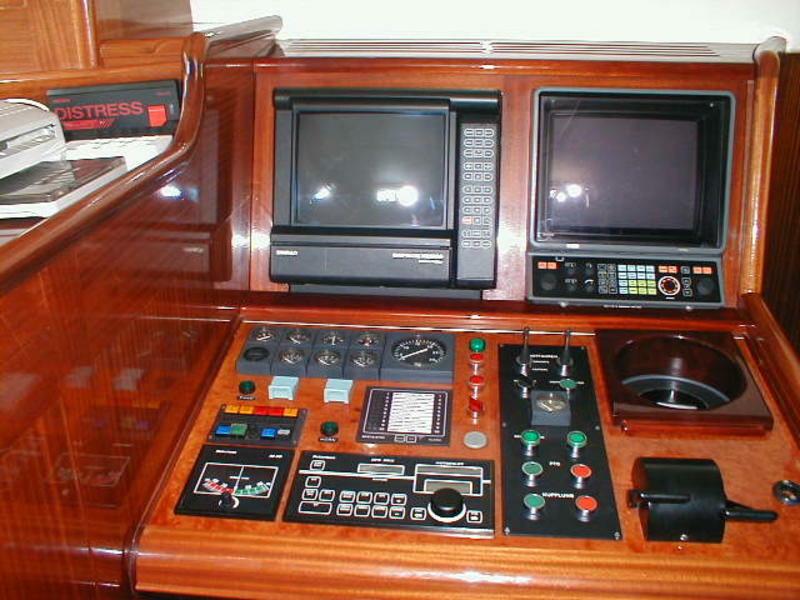 There are two helm positions one outside in the aft cockpit by means of a wooden wheel and one in the pilothouse by joystick. Navigation, engine control and alarm indicators fill the instrument panel forward of the steering wheel at both helms. Controls for the sails are from outside helms position, where is the best view of the rig and sails. MAN D2866 LE401 main engine is powering the boat over Hundested CPG32 gearbox and CP 4-bladed propeller. 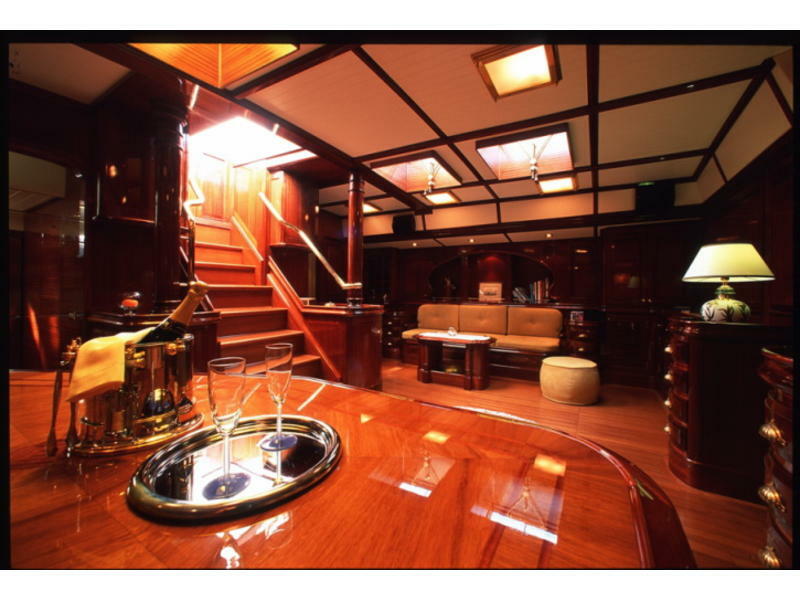 Two generators, of 40 kVA and 20 kVA, are producing electrical power on the yacht, having in mind that sailing conditions are supported by just one working. 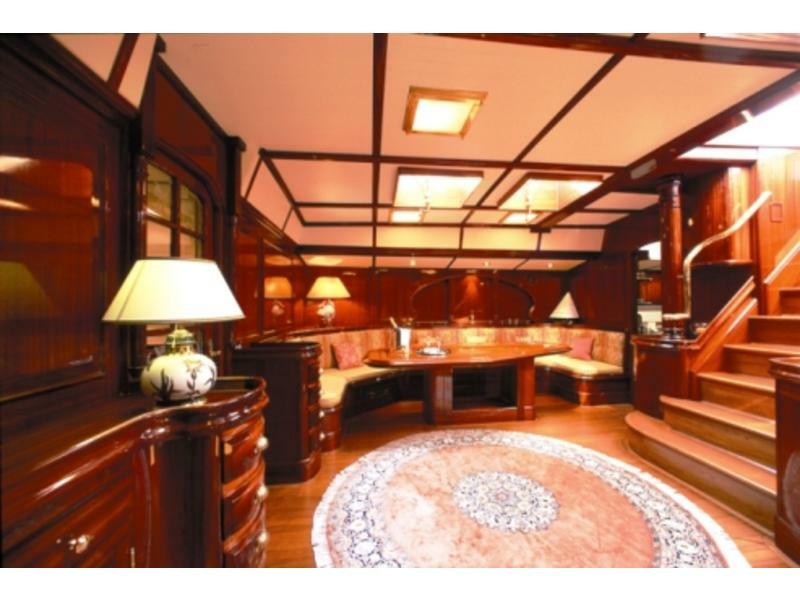 Other equipment includes fridge compressors, hot water boiler & Lewmar power pack for the sailing gear.